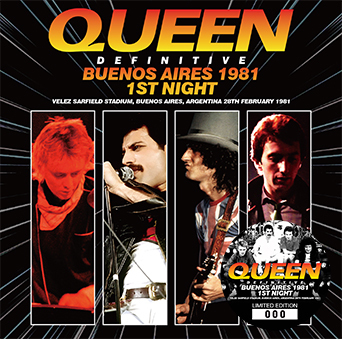 Recorded: Live at Velez Sarfield Stadium, Buenos Aires, Argentina 28th February 1981. Sound: Excellent stereo. From TV or radio broadcast. Comments: Claim to be the best sound from this gig so far. I haven't this bootleg, so I'm actually not sure about sound differences from previously releasing's. Wardour has released this show before in January 2014, so this should be in better quality I guess. Or just might be a sort of a re-release. 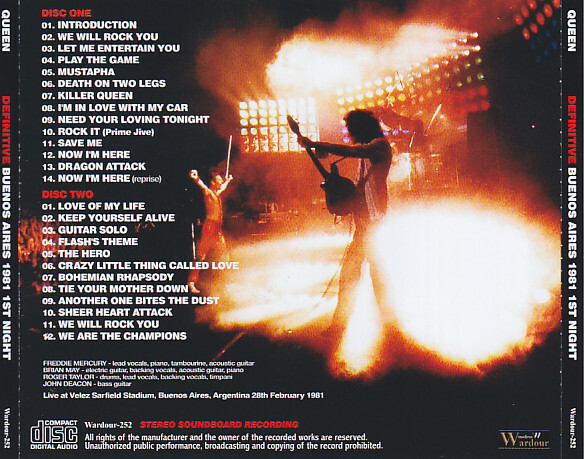 Reviews say's stereo soundboard recordings. 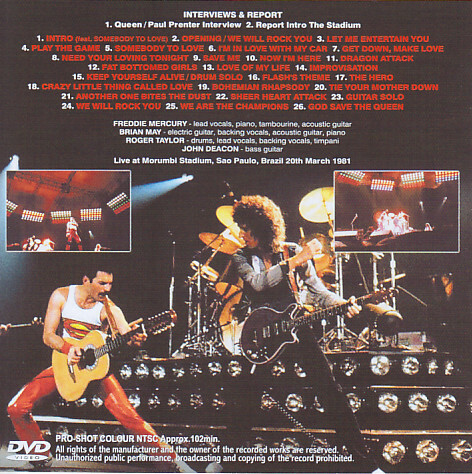 The taped outro 'God Save The Queen' at the end seems to be missing., which also is missed on all previously bootlegs from this show. 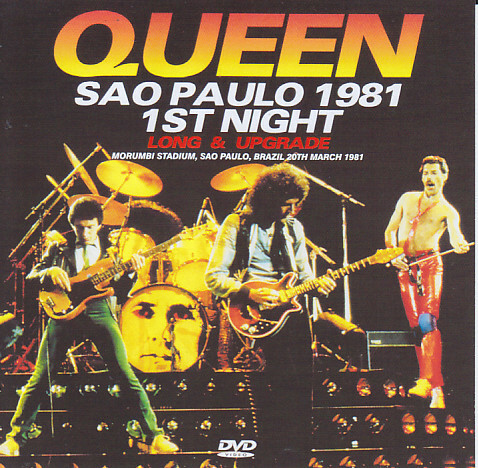 Some copies has added separate a DVDR with the Sao Paulo show from March 20th., from the same tour. This Sao Paulo show was broadcasted live on Brazilian television. Roots: From a broadcast. This show was broadcasted live on Argentina TV. I'm not sure of radio broadcasting, but since Wardour claim this is the best sound version, this must come from a re-broadcast from television or radio. I'm right now not so sure about what's correct. Separate BONUS DVDR comes with CD's with sticker on front.